Your staff have a duty of care to the individuals they work with, to preserve their safety, dignity, and general well-being. 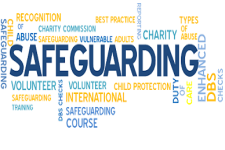 Safeguarding training for health highlights the many ways healthcare staff are required to take responsibility for people in their care, and offers guidance on how and when to intervene in order to protect them. Safeguarding adults (SOVA) and safeguarding children form a core part of the Care Certificate, corresponding to standards 10 and 11. Safeguarding also forms part of the Skills for Health core skills framework. All workers need to complete level 1, but depending on your role, some individuals may need to progress to safeguarding adults level two and safeguarding children levels two and three. The needs of an individual vary greatly, based on their age, ability, health, and many other factors. Consequently, in addition to general safeguarding guidelines, our safeguarding eLearning resources set out strategies for identifying individual care requirements. This includes overcoming barriers to effective care, and facilitating constructive communication. Safeguarding training must also prepare your staff for managing conflict, and protecting service users from destructive habits, such as drug abuse and compulsive spending. This extends to arranging best interest meetings, and recognising when intervention is necessary. The safeguarding online training offered here also emphasises the importance of monitoring fluids and nutrition, and explains the dangers of dehydration and malnutrition. Safeguarding training is separated into several modules so you can choose how to approach them. Use the filters to narrow down the list and explore a range of training options that can be readily tailored to your requirements.